There are so many days where I feel like I cannot win at anything. Like I am just a huge failure. Honestly. Am I the only one who feels this way? I’m Cranky. I’m moody. I’m opinionated. Seriously. I’m kind of a strict parent, but there are days where I feel like I’m not doing a good enough job. Like will I ever find something I am good at? My thing? Sometimes I feel like I will never live up to everyone’s expectations. 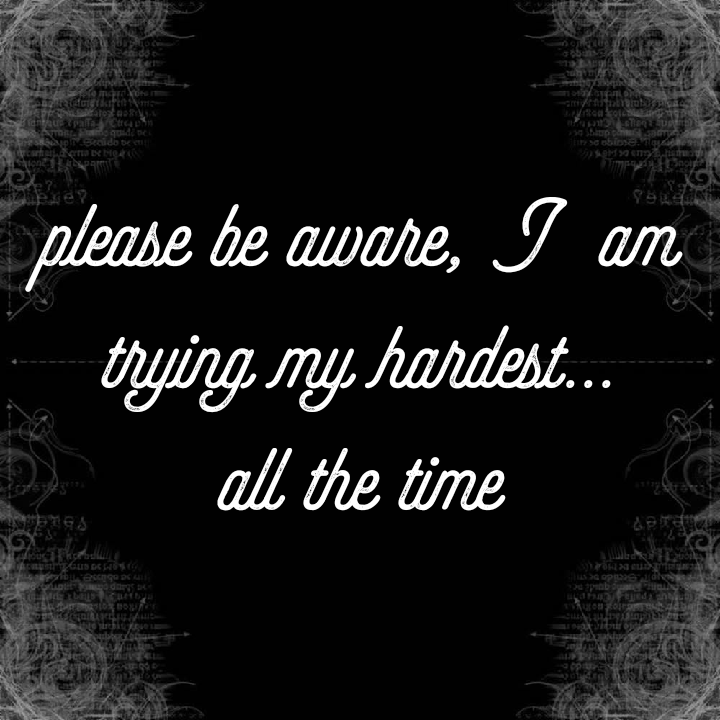 But, please be aware that I am trying my hardest all the time. I may have my days. But even in my darkest hour, I am still trying my hardest. Every single day I try to be my best self. Every single day, I try to get a handle on my disorder. So please, don’t say I am not trying. No one will ever know just how hard I try.